Kick off the season with a decorating night! Eat a fun dinner, crank up the Christmas tunes, put on those festive hats, and decorate for the holidays! Start a fun decorating tradition, such as alternating who gets to place the star or angel on top of the tree each year. 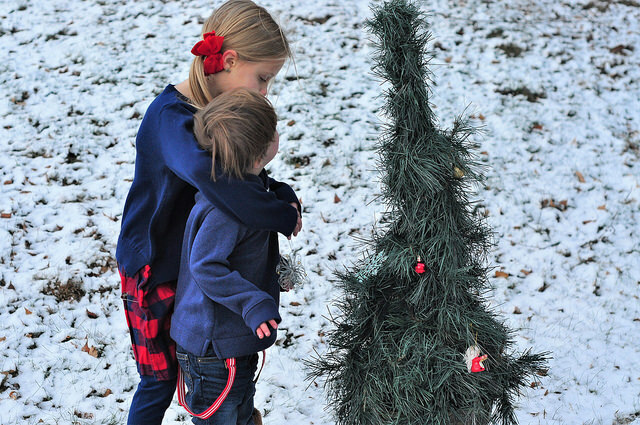 Head outdoors for a winter-themed activity. 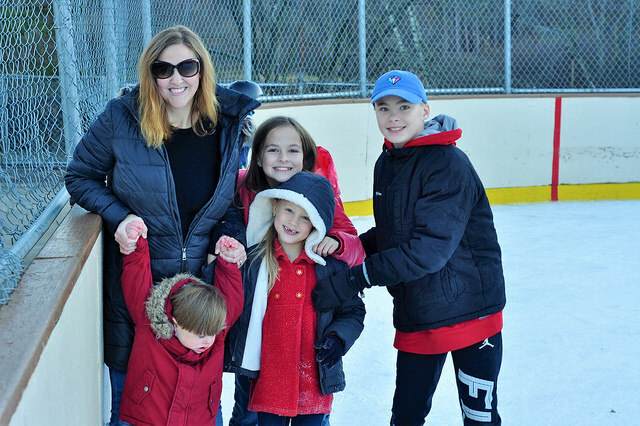 The cold weather isn’t always fun, but there are a lot of fun outdoor Winter activities! Go sledding if you have snow, go skiing, take a wintry walk or hike, or go ice skating! 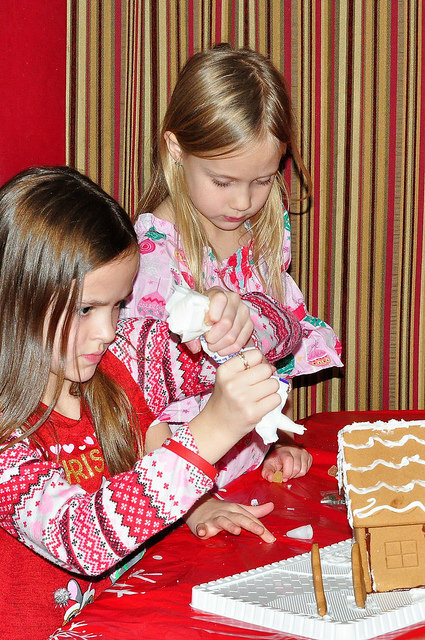 Build a gingerbread house together. Sometimes assembling gingerbread houses isn’t much fun, so let me give you a mom tip: Buy a PRE-ASSEMBLED gingerbread house kit. It’s totally worth every penny! Turn on the holiday music, sit out the supplies (extra frosting and candy is a great idea), and get to work building the perfect family gingerbread house or village! 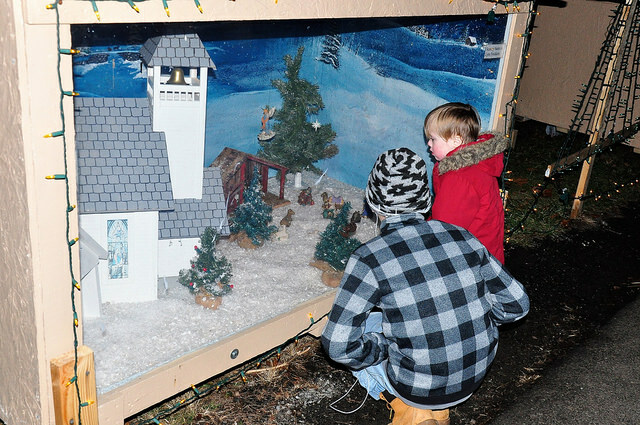 Go for a holiday lights drive. Change into warm, comfy pajamas, gather up travel cups filled with hot cocoa, and pile into the car for a fun holiday lights drive. Turn up the heat, cover up with blankets, sip hot cocoa, and listen to Christmas music while you drive around your city or town looking for the best holiday lights displays! Start a holiday pajamas tradition! 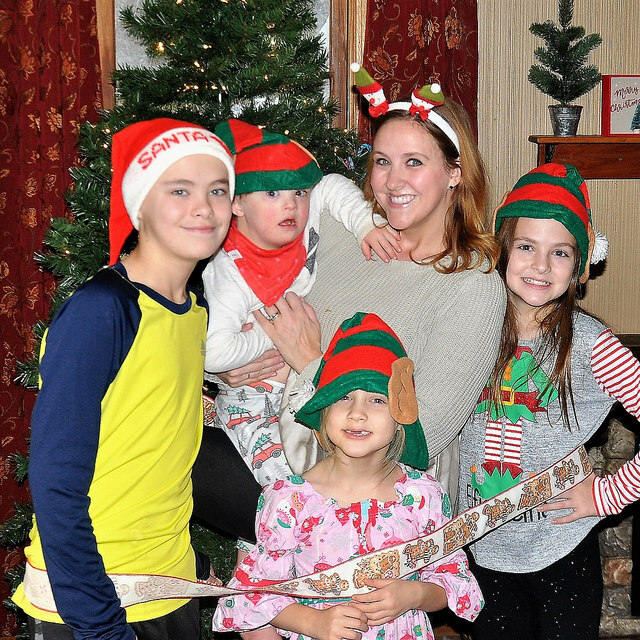 Every Christmas Eve, we give our children a new pair of pajamas to unwrap and wear to bed. 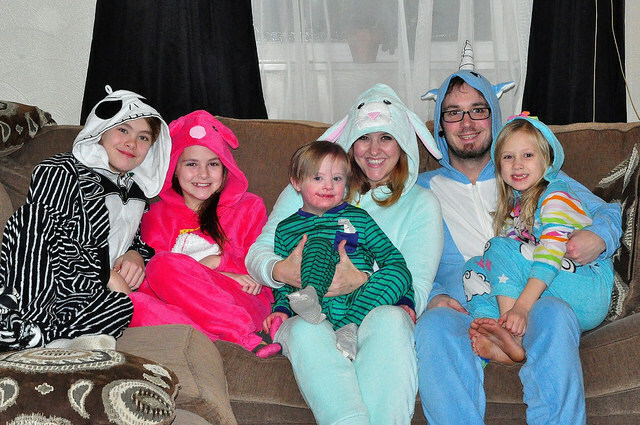 Last year, we decided to make it more fun by getting new pajamas for ourselves as well, and we made sure to take a family picture before bed. 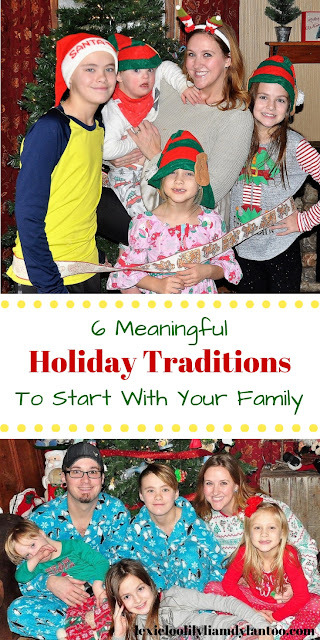 It quickly became one of our favorite new traditions! This is the season of giving, so what better way to give a special gift than to make a family donation to an important cause or charity? This year, my family will be making a donation to RMHC so other families can experience the gift of togetherness! 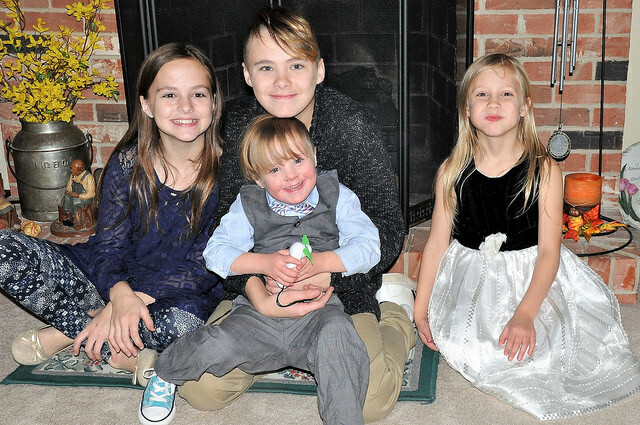 Everybody knows just how important it is to have family nearby when you need them the most, and this gift enables families dealing with critical illnesses to be together during the holidays. 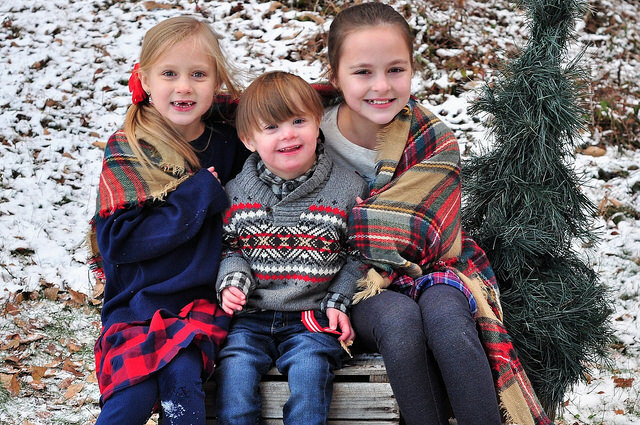 If you want to give the gift of togetherness to a family need, you can contribute at RMHC.org/donate. My family is so excited to spend time together this holiday season! We can’t wait to make our way through our list of favorite holiday traditions, and make wonderful memories along the way. Being together is the biggest gift of all during the holidays! 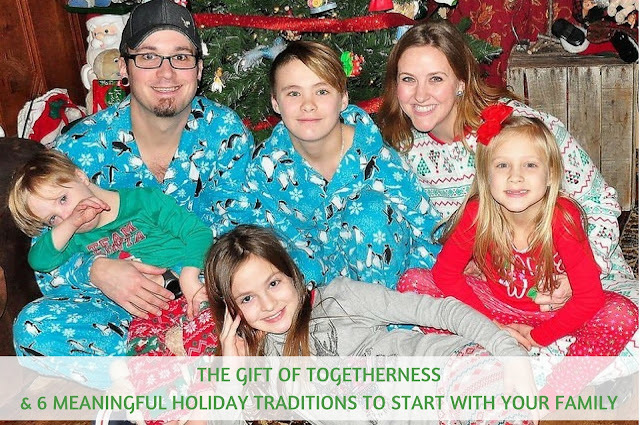 Please consider making a donation to Ronald McDonald House Charities this holiday season to help give other families the incredible gift of togetherness! These are all great things to do!!! My girls put together/decorated a turkey gingerbread and now I need to get houses for them to decorate! I love all these ideas, Stefanie. I'm definitely in the mood to start decorating in warm PJs, with Christmas music, and hot chocolate. I love your PJ pictures the best! I like the Ronald McDonald House, they are a great organization! Your family is beautiful! Great tips. Love the PJ pictures. What a fantastic list of activities. 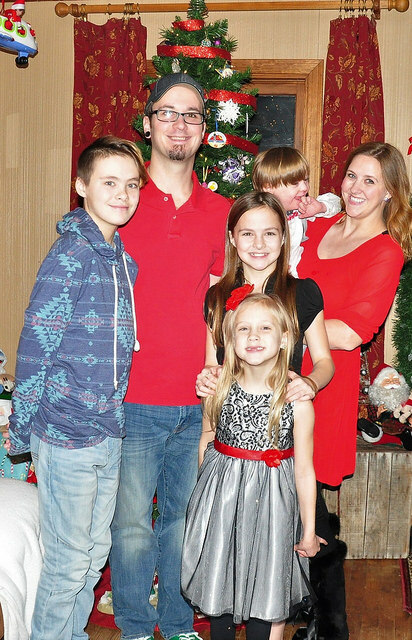 I'm all about making memories with this little family of mine and I can only hope that my kiddos carry on tradition with their littles when they become parents. I've heard the most wonderful things about Ronald McDonald House Charities. How awesome that you're helping get the word out!